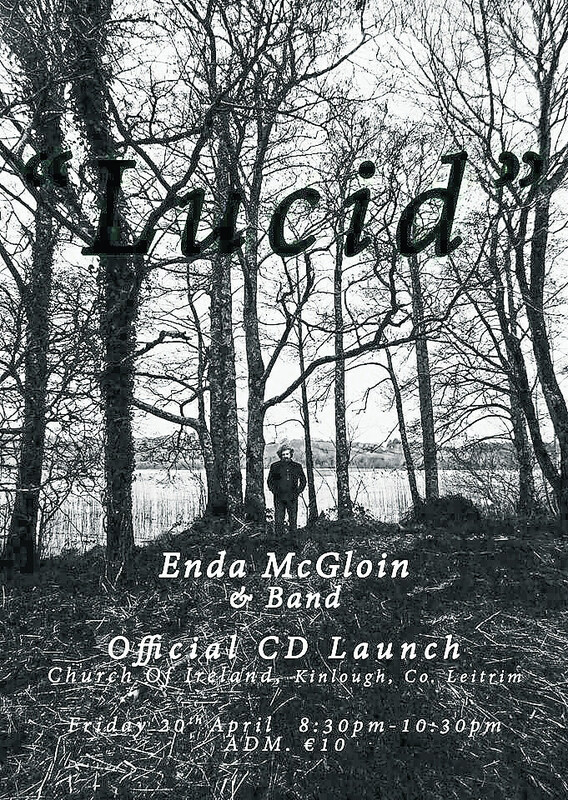 A concert to launch “Lucid”, the eagerly awaited debut collection of songs by poet and musician, Enda McGloin, will take place on April 20 at the Church of Ireland, Main Street, Kinlough. A treat for the eyes and ears is promised as the beautiful and hallowed building plays host to some of the most gifted musicians and exciting original music inspired by, sculpted through and crafted in the North West. Opening the night Mohill man, Ronan Gallagher and Band will perform songs from his forthcoming album; a mix of 60s, pop/rock and country blues with truthful lyric and swinging tunes. Then Kinlough native, Enda McGloin will take to the stage to perform songs from “Lucid”, a mix of melodic alternative folk and vivid storytelling, with imagery harking back to ballads of old with a contemporary sound. The poets lyric is layered with rich imagery and thoughtful reflection, mirrored by the songwriters powerful evocative melodies. Accompanied by a host of talent including Henry Pierce, Kit Good, Luke Devaney, Marc Geogan, Jason Paul Kelly, Jessie Solonge Whitehead, Niamh Currid, James McNamee and Sean Reynolds. With guitars, piano, mandolin, violins, dobro, bass and percussion, the sound is sure to complement the surrounds to give a complete and enthralling musical experience. Tickets are €10 (includes CD) and are on sale in Kinlough, Co. Leitrim at The Angler's Rest; McGowan's Spar; Classic Cuts Hair; Arroo Hair Salon; McGowan's Cornor Shop; the Bank Bar, Bundoran and A Novel Idea, Ballyshannon.